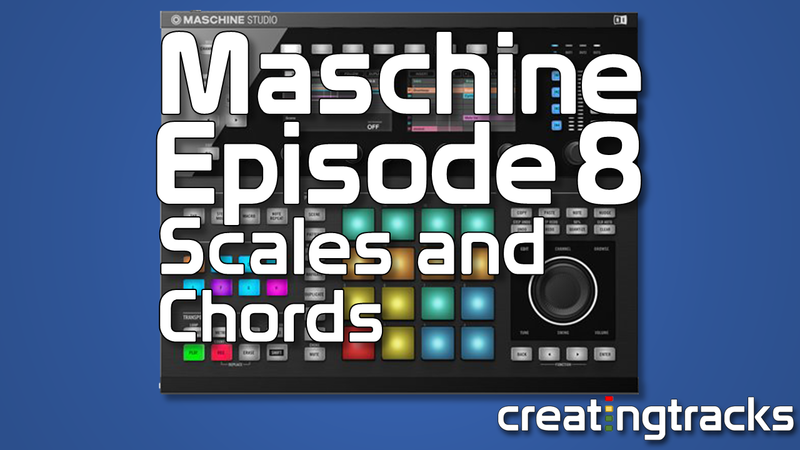 Let’s take a look at using Scales and Chords within Maschine 2. 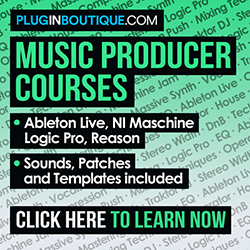 Besides using Maschine 2 for knocking up and playing some amazing drum and beat performance kits, we can also create and use instruments played out using the instrument’s pads. Using the Maschine screens we can quickly navigate our way round the software to load in instrument sounds, copy those sounds to a new group and assign them to the individual pads. Once we assign the sounds to the pads, we can use the software to manipulate and edit the sounds to what we want, whether editing the sound’s pitch or using the ADSR parameters to adjust the sound to our liking. So let’s load up an instrument sound and get it into Pad Mode. Simply dialing in adjustments to the Scale parameters, will automatically reconfigure Maschine’s pad to that relevant scale. For example, we can change the scale setting from Chromatic to Major, or Minor and the pads will reconfigure themselves according to that scale. Within the Scales as well we can configure the parameters to adjust the chords themselves. You’ll notice as you hit a pad, that a number of other pads light up, as Maschine will automatically play those notes as well, whilst you are in Chord mode.